This water bath warmer is thermostatically controlled to hold two wells of product at serving temperature. 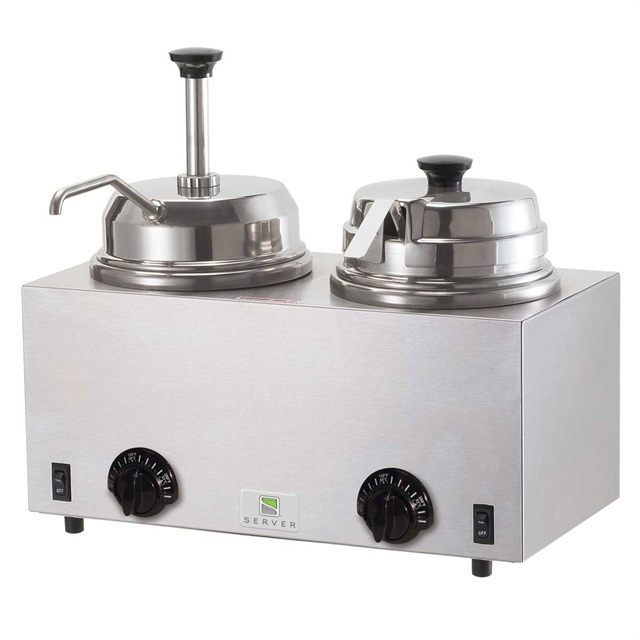 It's constructed of stainless steel for durability and includes one pump and one lid with ladle. Twin warmers feature two thermostats, for individual control, that sense food temperature and turn the 500-watt heating elements on or off as needed to eliminate burning or scorching. Includes a stainless steel pump and 1-ounce (30 mL) stainless steel ladle and lift-off lid.